Last month at the Code technology conference, technology giant Microsoft announced a new feature for Skype, the decade-old video conferencing program allowing people from around the world to talk to each other, face-to-face. Skype has more than 300 million active users, and is currently available worldwide for free. The new feature is slated to “translate” conversations in real time; that is, after a sentence is said, an automated voice will repeat that sentence in the language of your choice. Sounds like something out of science fiction? Well, don’t drop out of your foreign language classes quite yet – the new technology, as impressive as it is, still has its flaws. 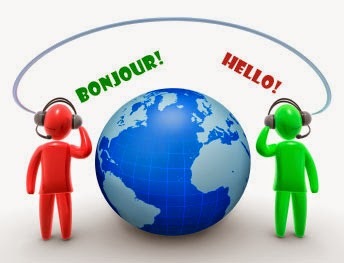 In practice, it seems like you will be able to understand the gist of what the other person is saying, but the translated sentences that result from your conversation will sound choppy and strange to a native speaker. Useful for saying hi to your friend Christiane in France, perhaps, but for a serious business meeting, you’re better off hiring a professional interpreter.